I find New Wine, New Wineskins so important because as an institution it is always trying to see how things that have been divided can fit back together. This fits my sensibilities well as someone with a variety of passions in theology, science, philosophy, history and historiography, sociology, and language. But even more than this, our world is fragmenting in such a way that everyone appears to do little more than speak past one another, with no true understanding taking place even as a possibility. A traditional ten-dollar word used for Christ's person and work is that he "recapitulates" all things, that is, brings them to a head in himself and in so doing restores them (see Eph. 1:10). Intedisciplinarity and bridge-building are as such no mere buzzwords, but Christ-like activities. Though we are far from perfect, here at New Wine our passion is precisely to build such bridges through Jesus in contemporary culture. Jazmin Julene Miller is pursuing hospital chaplaincy and is in the second year of her Masters in Divinity at Multnomah. An Oregon native, she has been writing and reading voraciously all her life and is delighted to have found her people (Jesus-loving, critically-thinking academic nerds) through New Wine. 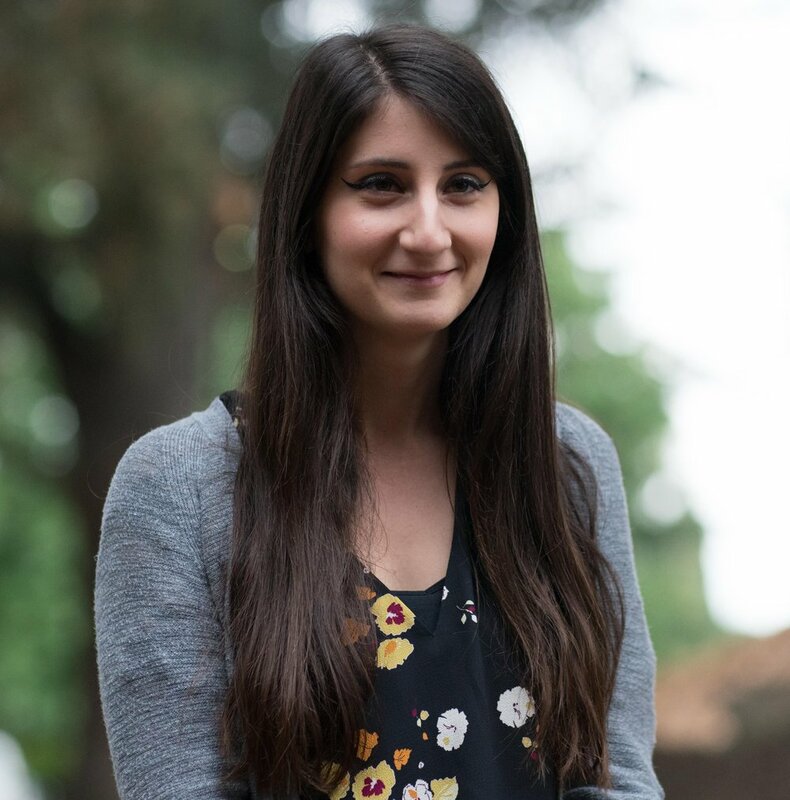 She has served as our Student Coordinator since Fall 2017 and is the connecting piece between students, administrators, big ideas, and practical implementation. She loves people and stories and reads East of Eden every summer. Read more at her blog! New Wine has been a refuge for me, a place where I can engage the world around me but also be safe to express the things that God has placed in my heart. In today's world we are told to fit into little boxes and label them. But at New Wine, I ahve found an outlet to ask questions and push myself to wrestle with God, facing towards Him and pushing into Him. Social justice is my passion and my second love, after Christ. I pray for a transformed hear to see the world as Christ does each and every day. I have the honor to facilitate New Wine monthly Potluck dialogues with our Buddhist friends at the Dharma Rain Zen Center. I have grown tremendously since being involved with New Wine, and have built lasting relationships. 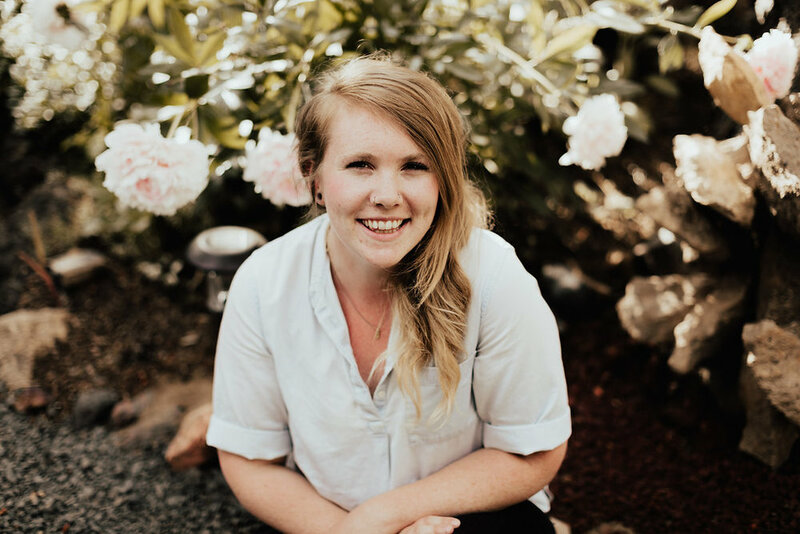 My name is Sara Mannen, and I am a current student in Multnomah's MA in Theological Studies program (MATS). My time is spent between the many loves in my life—theology, my daughters, husband, and teaching. As a theologian, I am passionate about patristics, contemporary trinitarian theology, how culture and theology intersect, and theological methodology. One of my goals is to encourage more women to view themselves as theologians. New Wine, New Wineskins provides me with a unique community of other theologians with whom I can reflect on theology, culture, and life. New Wine, New Wineskins' greatest gift is the opportunity to write and continually build relationships within the Christian and Buddhist community. We don't just talk and theorize about theology at New Wine, we are given the privilege to put our feet to the ground and experience the intersection of theology and culture in our own lives. Who am I? I am still learning what that means, so for now I will say that I am here (Isaiah 6:8). My passion is to pursue shalomic justice in the light and shadow of Jesus, the Crucified God. For me New Wine, New Wineskins is a sojourning community, willing to traverse the margins and out-lands. New Wine matters to me because I've found a family in fellow travelers. My name is Beatrix Li, and I am an undergraduate at Multnomah University studying Theology & Bible and Culture & Diversity in the Global Studies program and serve as the Multnomah Student Body Diversity Chair. I am passionate (some say outraged or angry) about working through issues of race, gender, colonization, and class that is rooted in a theology that is not oppressive, but rather redemptive and a deep well of empathy. My work is dedicated to a communal vision of participating in the mending the broken body of Christ in gathering and bringing in rather than in the further othering of marginalized peoples. My academic journey has been shaped by beloved mentors (and friends!) Insil Kang (New Wine Advisory Board Member), Dr. Paul Metzger (Professional genius), Dr. Domani Hintze-Pothen (Multnomah English Department), and Raquel Polanco (MU Student Body President / Queen), and Beyonce. New Wine, New Wineskins has been a profound gift to me as New Wine, a community that dedicates to building relational bridges through Jesus, (rather than burning them), has joined hand-in-hand with my rough and rugged ways to do theology and life together, in the tension and messiness. New Wine welcomes in dialogue that brings us face-to-face with that of which we do not want to face, and to live into a beloved, broken-yet-mending community. As a student representative for Multnomah University, Connor is another great connection for New Wine to the student body at large. A constant presence at New Wine events and functions, Connor is helping us brainstorm a number of future topics for our Table Talk sessions including Rene Girard and mimetic violence, toxic masculinity, and much more. My name is Mara, and I am a junior obtaining a bachelor’s degree in Bible and Theology, Educational Ministries, and Psychology. I am passionate about social justice, but my main area of interest is Domestic Violence and abuse. New Wine has been a great facet for discussing issues of oppression and tension between the church and society, applying Christian faith and theology. It has been such a blessing to work alongside other Christians who are passionate about God, people, and justice. My name is Alex, and I am currently studying for a Bachelors Degree in Bible/Theology at Multnomah University. I have a passion for learning more about theology and how to wrestle with God through the tough questions of life. New Wine has given me a place where is free to wrestle with these questions in a context of a Christian community where we do not force our theologies on to each other, but we exhort each other to dive deeper into what the Bible says about our questions.